(from left): Members of the Sandra Schmirler Foundation Golf Tournament Organizing Committee join event sponsors Nutri Lawn’s Bill and Judy Mackenzie (4th and 5th from left) and title sponsor Winn Rentals Carmel Gretzinger (far right) present a cheque for $47,000 to the NICU at Kelowna General Hospital. It was literally a ‘cause’ for celebration this past June in Kelowna at the 2nd Annual Sandra Schmirler Foundation Golf Tournament. Not only was a staggering $47,000 raised to support the acute care of premature infants at Kelowna General Hospital, it was also Sandra’s birthday. Sandra Schmirler rose to international fame as the charismatic skip of the Canadian Olympic team that won the gold medal at the 1998 Winter Olympics, the first year women’s curling was a medal sport. Tragically, Schmirler lost her brave battle with cancer in 2000 at age 36. But her legacy for leadership and compassion live on through the Foundation that bears her name. 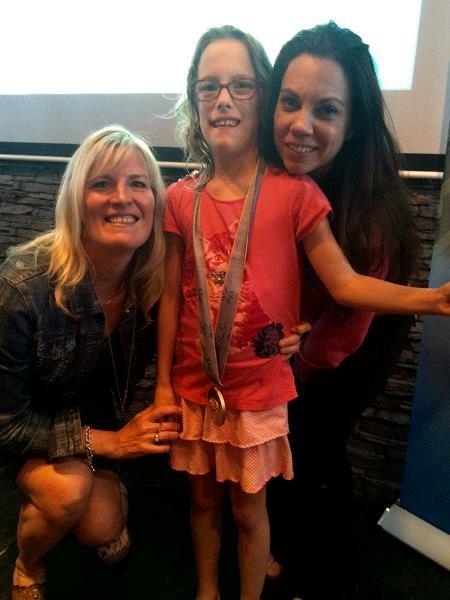 neonatal technology survived and is now a happy, thriving nine year old. Emma’s parents credit the work of the Sandra Schmirler Foundation for providing the state of the art equipment and patient care items that allowed her medical team to save her life. 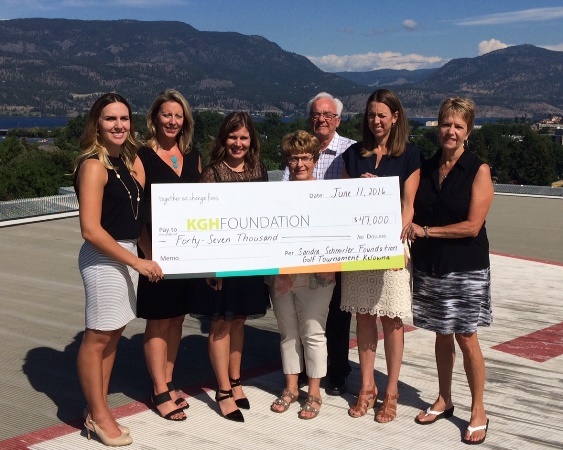 Through the Giving Giggles campaign, the KGH Foundation continues its commitment to raising $3 million dollars to support the purchase of advanced medical equipment and patient care items for the newly expanded perinatal unit at KGH.